We are dedicated to helping your dream room addition become a reality. Whether you want to add on a sunroom for extra entertainment space or you want to create a larger family room area, we provide a wide range of services to meet any and all of your room addition needs. With Gilbert Construction Design and Remodeling, you receive outstanding craftsmanship and the best possible overall customer experience every step of the way. If you are ready to renovate, upgrade, enhance or even completely remodel your kitchen, Gilbert Construction Design and Remodeling can help. We understand the kitchen is both one of the most used rooms in the home and one of the largest selling points for potential buyers. We work hard to get the most value for your dollar and to create a kitchen that is both functional and aesthetically pleasing. Bathroom remodeling can add value you to your home and can create a new, peaceful and luxurious bathroom for you to use and enjoy. Whether you know exactly what you want or you would like some help creating your dream bathroom, we can help. Secondary suite is the urban planning term for a unit on a property that would normally accommodate only one other unit. The secondary suite, or 'granny flat' as it has become known, usually has its own kitchen, bathroom and living area, and can be situated over a garage, added on, or even be a separate, detached unit. If you are thinking about constructing or remodeling a granny flat, let Gilbert Construction Design and Remodeling show you the most efficient and affordable way. Today more and more garages are not used for storing automobiles but instead are used for general storage. While many let their garages fall into disarray, others take the opportunity to transform their garages into game rooms, home offices, bars, poker rooms, wine cellars... you name it. If you are interested in remodeling your garage, give Gilbert Construction Design and Remodeling a call to begin the process you once thought impossible - turning your garage into a room you can walk in, breathe in, utilize and enjoy. If you are interested in bathroom remodeling, kitchen remodeling, garage remodeling or a full home renovation, you have come to the right place. Our wide range of services and expertise ensures your home remodeling experience will be a pleasurable one, and that you can affordably renovate the way you want. Give us a call or send us an email today with your home remodeling questions or to begin discussing your home renovation possibilities today. 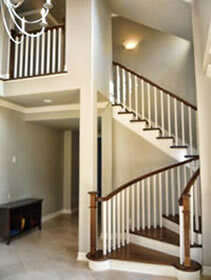 We have expertise in all aspects of home design. Our approach is simple — to provide excellent service and affordable solutions to every home. We offer expert design and building services for both large and small remodel projects.